5-Star Warning lights Co.,Ltd. is one leading manufacturer in producing lightbar,warning light,Off-Road Light Bars, LED Work Lights,sirens,speakers for vechile,we are one high-tech enterprise . Our LED Lightbar,Warning Light,Off-Road Light bars, led work lights,electronic sirens,loudspeakers are with good quality，used in Firefighting truck and police cars in USA,UK,Canada and so on. We have set up Europe, America, Asia, Australia sales net work. We have several brand in the worldwide. We have CE,Emark certificate for our lights, ISO 9000 standard for factory. 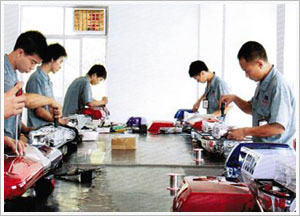 We can offer OEM for each customer, we focus on our products quality,services and reputation.your selection is our honor. Custmer is our life,customers' satisfy is our final goal. For your satisfy,we are trying our best always.